All in one kite repair kit. 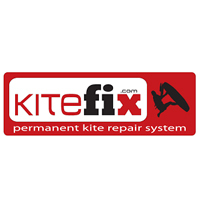 Whether travelling to an exotic location or heading down to your local spot, the KiteFix Complete Kit is an essential part of your kiteboarding gear that you don't want to leave home without! 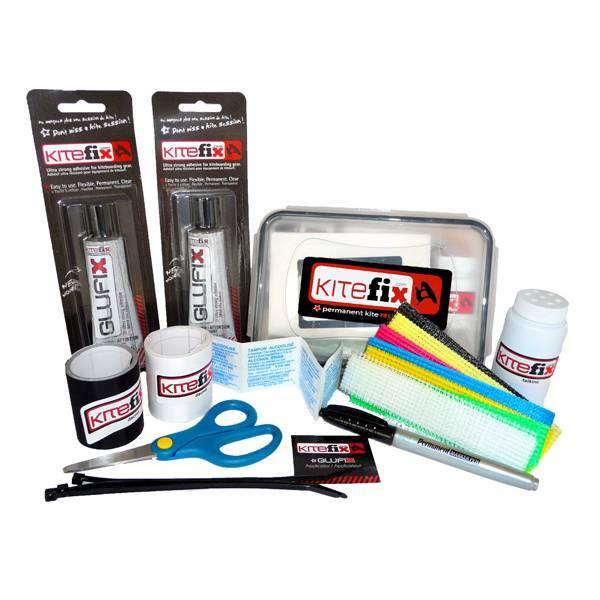 This kit will allow you to permanently and esthetically repair almost any tear, break, seal or leak you kite might have. You can fix up to an 8 foot canopy tear (color matched), up to a 6 foot long leading edge or strut repair, bladder leaks and valve repairs, often within the hour. Never miss another session! Choose the first and original DIY Complete Repair Kit. 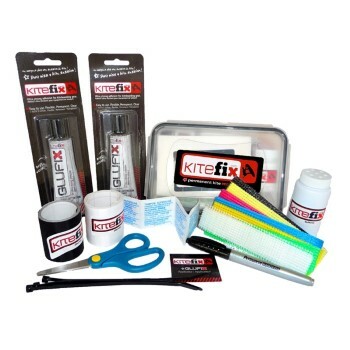 Made by Kiters, for Kiters, KiteFix's Complete Repair kit is a must have for your kiting gear. Don't leave home without it! Kit is great to have in your glove box. fixed a 9 inch tear in the canvas without a hitch, I flew the kite in 25knot winds for 7 days and is still holding strong. I like how it comes with a bunch of different colors to match any canopy. Great kit packed into a neat box. Looks like it will have everything i need to fix my kite on a windy day. Hopefully i wont have to use it.